Amethyst, long prized in jewelry for its beautiful, violet coloring and within the spiritual community for its energetic qualities, is a beautiful crystal showing up in deposits where its many facets glisten with a deep, resonating purple. 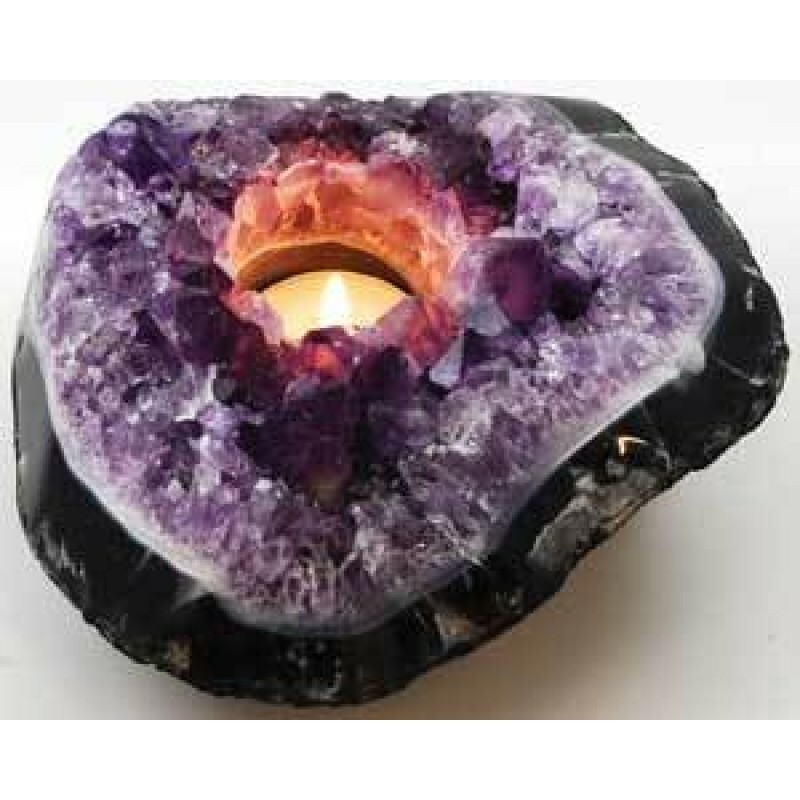 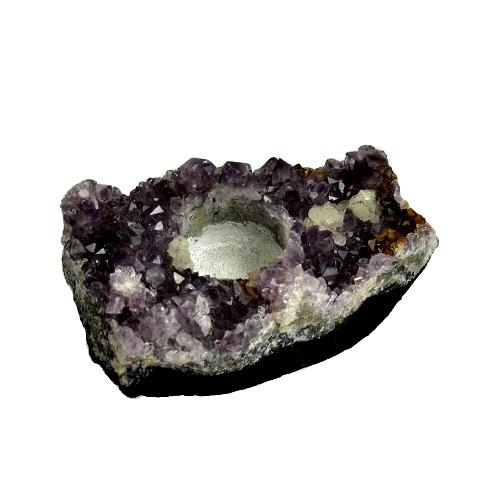 With an opening measuring approximately 1 1/2" in diameter, it can easily contain a small pillar candle or a tealight candle, each candle holder is shaped from a natural formation of amethyst, resulting in each candle holder possessing a unique size and shape. 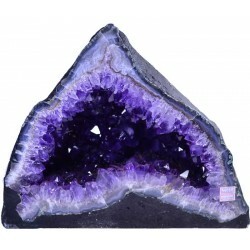 Available only for a limited time, you should get them while you can! Look into the inside of natures beautiful, fascinating, natural formations, with a gorgeous Amethyst..